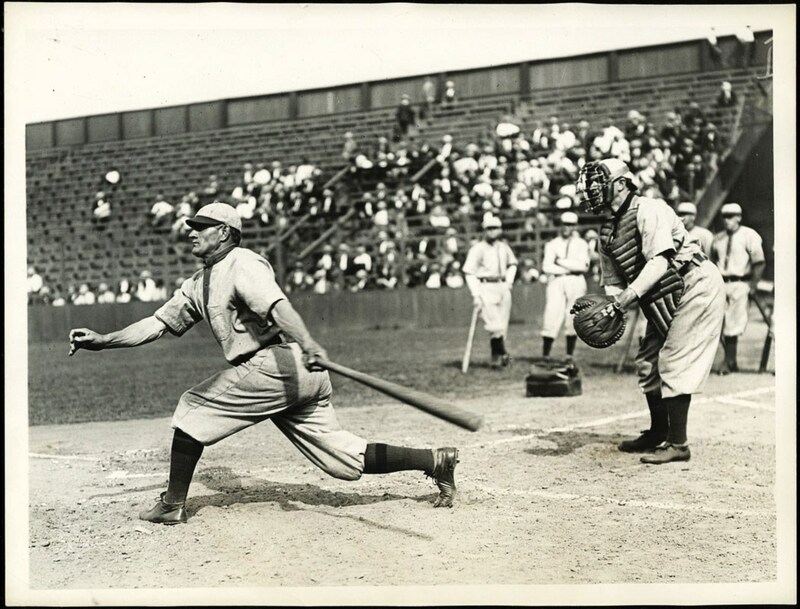 Presented here is a remarkable c.1920's Honus Wagner black & white batting image that is the EXACT photo originally used for his exalted 1911 T5 Pinkerton cabinet card. Taken from the original Charles Conlon 1910 glass-plate negative, this Type 2 image was re-issued in the 1920's, and we have never encountered any such Type 1 photo of this hallowed illustration. 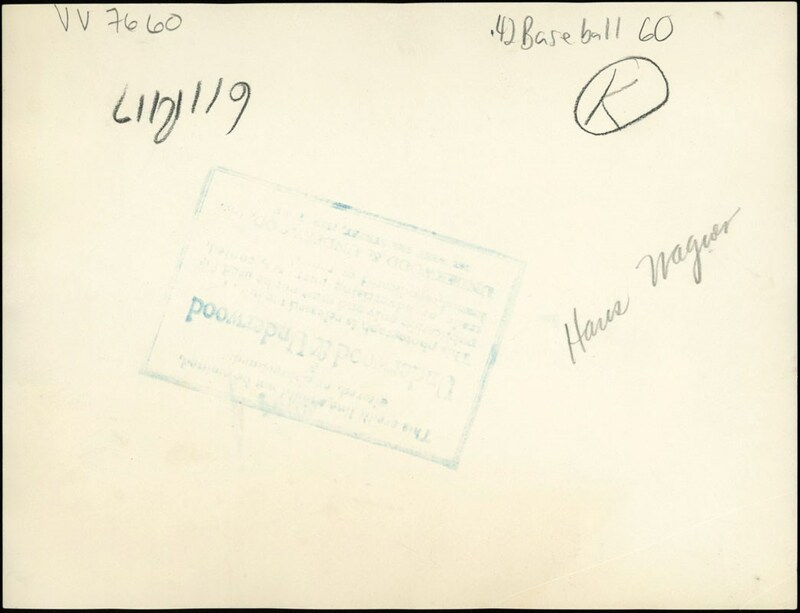 It is no secret that photos of iconic baseball cards are achieving staggering price tags, with that notion even including "re-strikes" such as this monumental offering. 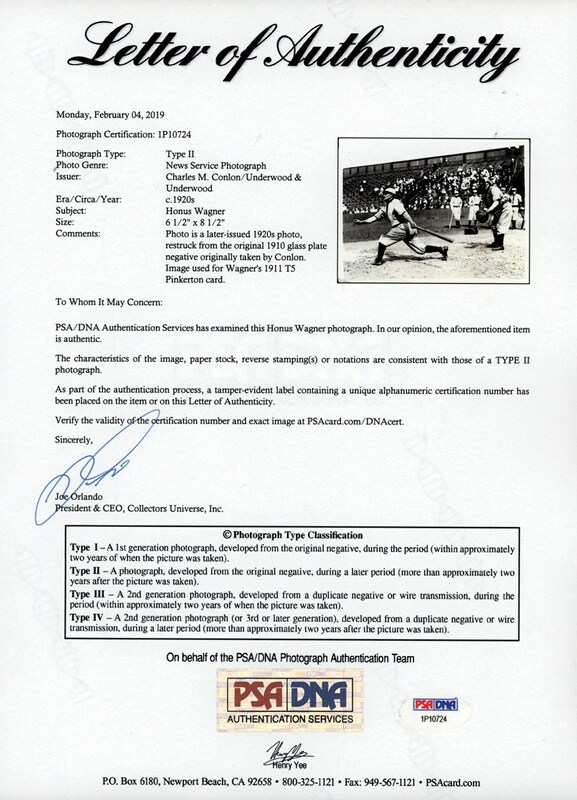 As an example of this pricing phenomenon, a Type 2 1951 Mantle Bowman image sold for approximately $15K in 2018, with collectors surely realizing that finding the original images of these iconic cards is a near-impossible task. Measuring approximately 6-1/2" x 8-1/2", this possibly unique image is accompanied by a full PSA Type 2 LOA that specifies its T5 Pinkerton pedigree as well as the fact it was re-issued in the 1920's or some 90 years ago! The photo itself reveals a breathtaking Wagner batting pose that is well known by vintage enthusiasts as the legendary illustration affixed to the "Flying Dutchman's" scarce 1911 T5 cabinet. Some light/faint stray wrinkles do not impede the well-centered image that reveals crystal clear clarity, bright white borders and a fine perimeter.